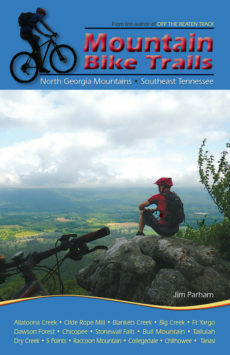 With over 40 miles of single track, western North Carolina’s Tsali Recreation Area, where trails wind their way over rolling terrain along the shore of Lake Fontana just across from Great Smoky Mountains National Park, has been a major Southeastern mountain bike destination since the 1980s. This waterproof, color topo map shows routes for all four of Tsali’s loops, and includes elevation profiles, the trail schedule for bikes and horses, and information on the USFS campground. It even suggests nearby forest road alternatives for riding when it’s too wet at Tsali. 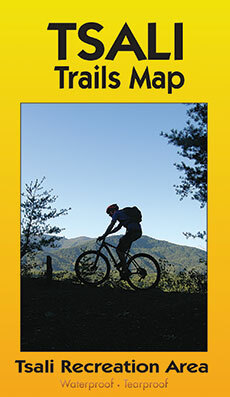 Ten percent of net proceeds from the sale of this map go to Nantahala Area SORBA, the trail advocacy group at Tsali Recreation Area. Born in Raleigh, NC, Jim Parham grew up in north Georgia. He has spent his adult life cycling, hiking, and paddling all over the world. Once a kayak instructor, whitewater guide, and bicycle tour leader, Parham has been traveling the roads, rivers, and trails of the Southeast since childhood. 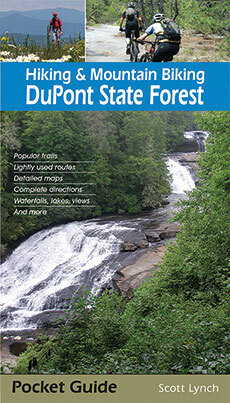 He also draws the clear and easy-to-read maps that make Milestone Press guidebooks so user-friendly. 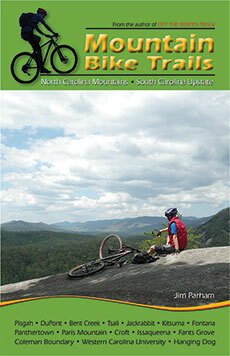 Parham lives in North Carolina at the edge of Great Smoky Mountains National Park. 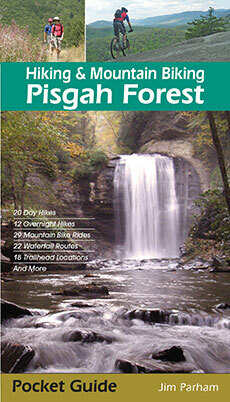 Guidebooks by Jim Parham include: Waterfall Hikes of North Georgia; Day Hiking the North Georgia Mountains; Backpacking Overnights: North Carolina Mountains & South Carolina Upstate; Road Bike North Georgia; Road Bike the Smokies; Natural Adventures in North Georgia; Mountain Bike Trails: NC Mountains & SC Upstate; Hiking & Mountain Biking Pisgah Forest, and Mountain Bike Trails: N GA Mountains & Southeast TN. waterproof; 14.5 x 12.5 in.